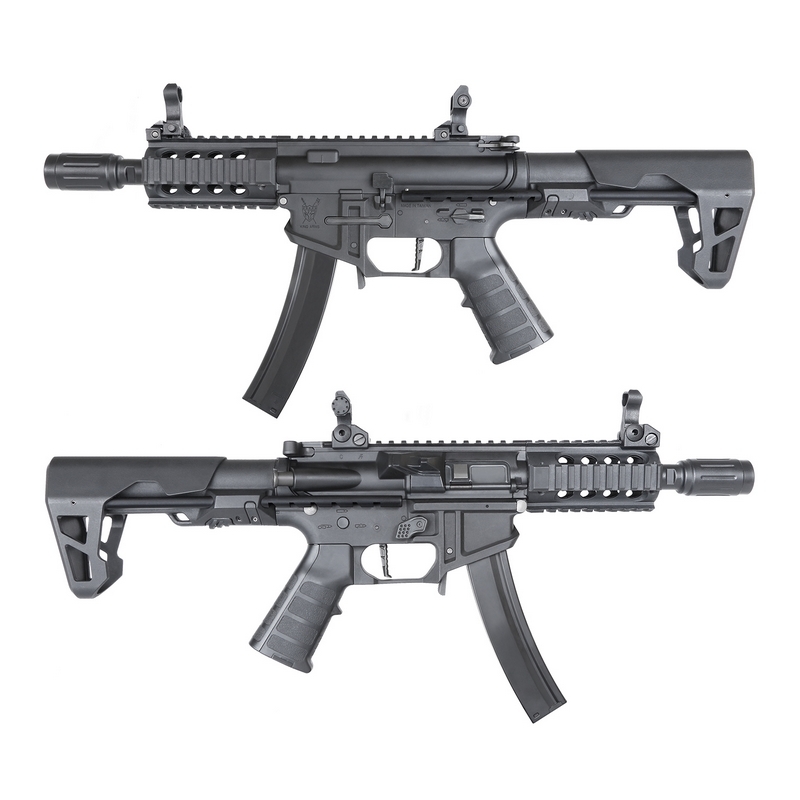 The PDW 9mm SBR M-LOK is built up of high quality nylon fiber. can house a wide range of tactical accessories. King Arms AEG Bolt Catch System. grooves for increase grip and rifle stability in all weather. the grip as you see fit. house batteries up to 12V 1400mAh. with all MP5 style magazines for easy replacement. 7mm bearings ensure smooth and rapid gear change. response while protecting contact points from shortages. M-LOK Handguard w/ 3 Included RIS Rail Segments. Customizable Grip - 6 Included Front & Rear Inserts. 7 Position Adjustable Stock w/ Auto-Locking System. Front and Rear Foldable Flip-up Sights. Full Metal Version 2 Gearbox. Safe / Semi / Full Auto. Inner barrel: 135 x 6,05mm.